Nine months after winning city approval, the First Calvary Missionary Baptist Church on William Street is kicking off an expansion that will more than double its size. The East Side church will construct a new 16,658-square-foot, two-story sanctuary that will seat more than 700. It will include additional space for dressing rooms and a conference area, and will be connected to the old building through an atrium lobby. Meanwhile, that 10,000-square-foot existing brick church at 467 William will be converted into a multipurpose Community Family Life Center, hosting a satellite location for the University at Buffalo Step Program and other community organizations that serve the surrounding neighborhood. 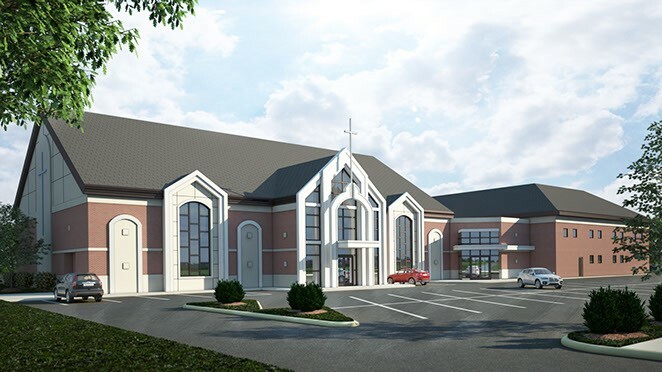 McGuire Development Co. is leading the effort for the church, with Lamparelli Construction Co. as construction manager on the $2.8 million project, designed by HCO Architects. Church officials will break ground on Sunday.